The rumors around Wayne Rooney and a possible transfer to PSG have gotten bigger after he did not play against Real Madrid in the Champions League. Now Zlatan Ibrahimovic also seems to be interested in getting Wayne Rooney to Paris. – If he want to be part of the best project in football, there is only one club he can sign on for, say Zlatan according to Sky Sports. In January, David Beckham signed for PSG and became teammate with Zlatan Ibrahimovic. Zlatan seems to like David Beckham. Now Zlatan Ibrahimovic also wants to get the Manchester United star Wayne Rooney to Paris. 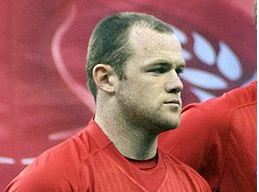 United has stated that Rooney is not for sale and plan to offer the striker a new contract. But Zlatan says that PSG would be the obvious choice for Rooney if he still wants to leave United. – Only he knows what decision he should take in the summer but the project we are trying to build here is clear. We are not satisfied with being the dominant force in France, we want to be a top club in Europe as well, says Zlatan according to Sky Sports. The Englishman has previously been rumored to PSG, and the speculations began in earnest when Sir Alex Ferguson benched the striker in the Champions League game against Real Madrid. The days before, The Times reported on a planned offer from the Paris Saint-Germain. – I can understand that the owners are interested in Rooney. He is one of the top ten best strikers in the world, according to Zlatan Ibrahimovic. This entry was posted in Rumors on March 3, 2013 by Johan Bengtsson.